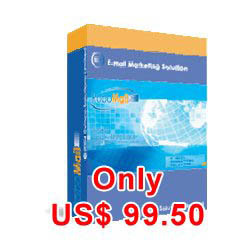 RoboMail Mass Mail Software - Start your Email Marketing with RoboMail. Software Release History. Column width in main screen will be saved and retained on software restart. Provide right-click menu in "Edit Windows" of Email Template, "Add Emails Windows" of Email Template and "Cancel Emails"
Improve performance by reducing database query and resources requirement when sending email. Provide icon to load html file in email template. It also supports drag-and-drop to open html file. Show default Sender and Reply-To information when preparing a new email template. User can load HTML file into email template directly. Allow to alter the column display in email template list and address book. Fine tune database kernel to enhance performance and resolve database locking issue. In Cancel Email, user can review the email address in Un-subscribe List. Support CSV file import. Contacts can be imported from CSV format file. Contacts Import Improvement. Unused column can be hide from file. Interface Improvement: File Open Dialog with descriptive title and button. Bug fixed: In email template, image with chinese file name cannot be shown. Besides adding recipients, template is allowed to add solely "email"
Load balance enhancement reduce the overall program loading and speed up the running process. Change SMTP Port: Support use different port rather than port 25. Random time to send email: Email can be sent by random time interval. Extend sending speed: Email can be sent by 1 sec to 300 sec. Support Email Tracking: Setup email tracking script in your website. Track the email open by recipients. Option to close RoboMail after the scheduled stopping time. Allow to add variable in message title. Email can be set to have a "Reading Confirmation". Recipient can reply a "Reading Confirmation" when reading the email. Start and Stop time can be set in schedule. Enhance subscribe features to allow email removal in address book. Remove unnecessary step in sending email to speed up the process. Un-subscribe statement is added into template automatically if un-subscribe settings are provided. Priorities can be assigned to message template to specify the sending sequence among all templates.